Forward #14 Liam Kirk of the Peterborough Petes' Liam Kirk in action earlier this season. Picture courtesy of Brandon Taylor/OHL Images. That seems to be the overall verdict on Liam Kirk as he continues along his determined path to make history by becoming the first British-born and trained player to play in the NHL. That moment – should it come at all – is still some way off, but it seems the Maltby-born teenager is doing everything that is required of him to give himself the best chance of achieving his ultimate dream. Having been drafted in the seventh round by Arizona Coyotes back in June, Kirk then found himself the No 1 pick of the Peterborough Petes in the CHL import draft. Peterborough play in the Ontario Hockey League, one of three in the Canadian Hockey League – considered by far the best junior hockey league in the world. 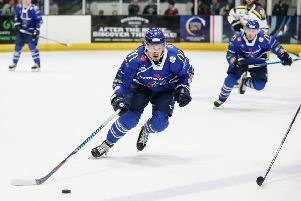 It means Kirk, who came to North America’s attention of the NHL draft thanks to his development under Paul Thompson at Sheffield Steelers, is playing with and against the best young players around – whether they hail from North America, Europe or elsewhere. Rob Wilson, head coach of the Peterborough Petes. Picture: Ken Andersen. Understandably there has been a period of adjustment for Kirk, who had never set foot outside the UK except for family holidays ahead of what turned into a whirlwind summer for him once Arizona decided they liked what they saw enough to make him a member of their organisation. His initial difficulty in adjusting to a new way of life, both on and off the ice, was reflected in a relatively slow start for the Petes but, as he has become more and more settled with life in Ontario, his game has improved accordingly. “I didn’t think it was going to be as tough as it was, but it took me 20 games or so to kind of get adjusted to the way that they play,” said Kirk during a recent visit home to South Yorkshire to see family and friends over the Christmas period. “You can practice as much as you want, but it is the game experience that really helps and now I’m starting to feel a lot more comfortable and it’s starting to show. That dressing room can be a nasty place at times. They all have the same goal, they all want to play in the NHL, they all want to play pro hockey. So, it is a case of dog eat dog. Peterborough Petes head coach, Rob Wilson. To help his transition from the UK, Kirk lives with a local family, who have aided his adjustment to a whole new lifestyle and surroundings. Having spent the last three seasons playing against seasoned professionals at the Steelers, Kirk now finds himself up against fellow junior players, all of a similar age and all holding the same dream of becoming a professional hockey player – preferably in ‘The Show’ that is the NHL. “It was a little bit weird to be playing juniors again after playing against men for the past few years,” added GB international Kirk. “But in a hockey sense, it is smaller ice that we play on and everybody is trying to impress and get to the next level. “So it is really intense and you don’t have as much time on the puck and you have to move it a lot quicker, it is a completely different kind of hockey to what I was used to with the Steelers. Having taken a punt on Kirk, the Coyotes are understandably keeping a close eye on the development of Kirk. To this end, Arizona liaise closely with the Petes’ head coach, Rob Wilson who, like Kirk, has a strong connection with the Steelers, having won two league titles, three play-off championships and two Challenge Cups in his six seasons there as a defenceman during the 1990s. 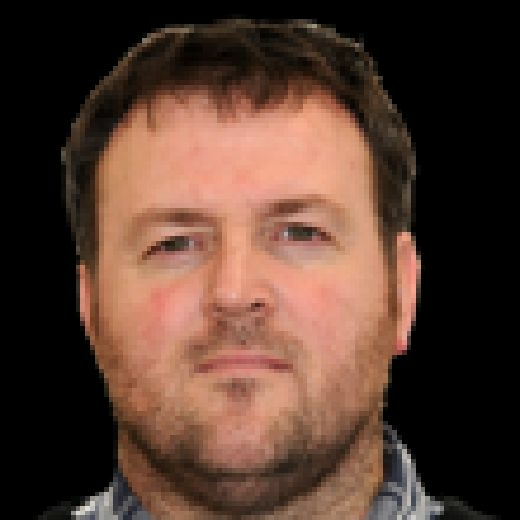 Having spent the last 15 years or so coaching men’s hockey – his last post being in the highly-regarded German DEL with Nurnberg – Wilson has had a period of adjustment himself now that he is coaching some of the most talented youngsters in the game. And he is more than satisifed with the British youngster’s progress. “He’s meeting expectations, he’s doing a good job,” said Wilson. “He’s still a young guy who is experiencing life away from home for a long period for the first time. “Over here he’s not playing with older guys, he’s playing with guys his own age who are all fighting for the same thing, so that dressing room can be a nasty place at times. “They all have the same goal, they all want to play in the NHL, they all want to play pro hockey. So, it is a case of dog eat dog. “Arizona are watching his progress and have been here plenty of times. They are keeping very close tabs on Liam and how he is progressing. “And they are very happy with him, everybody is happy with him and it’s going to continue to be an upward progress and I only see him improving.